It’s not been an easy time for Infiniti of late, but it’s hoping to hit the big time with the new Q30 and forthcoming QX30 crossover – the latter of which is previewed here in concept form. You’ll notice the similarity to the Q30 hatchback, because it’s basically the same car jacked up. Based on the Mercedes GLA, which itself is derived from the A-Class hatchback, the Q30 and QX30 will be built here in the UK. 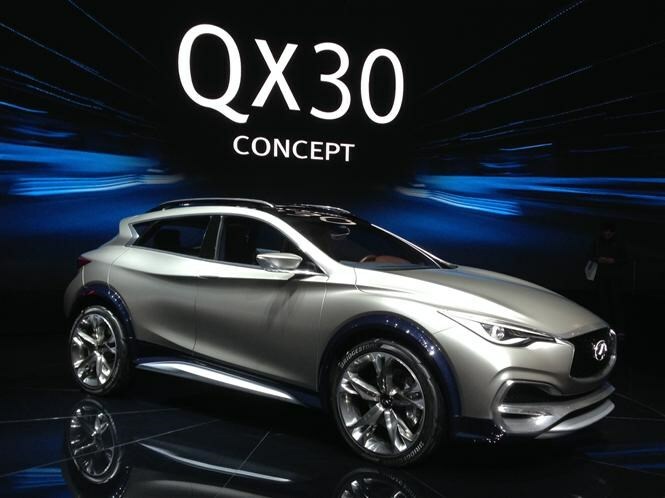 We’re expecting the hatchback to arrive later this year, while Geneva 2016 will likely feature a production-ready QX30. The QX30 is expected to debut new engines for the brand, and will be rear-wheel drive as standard with a four-wheel drive an option. For now we don’t know much more, but are happy just to admire the distinctive bodywork. Hopefully it is for Infiniti, as this is a car it needs to be successful – even more so than the disappointing Q50. It looks good but the proof will be in the driving.